Byron Hanke (1911-2000) was a Harvard-trained urban planner and landscape architect who was the chief of the land planning division of FHA from 1945 to 1972. Hanke worked with the Urban Land Institute from 1962 through 1964 on a survey of homeowner associations; this culminated in the published work Homes Association Handbook, which was one of ULI’s best selling publications for over 10 years. Mr. Hanke was also the principal author of Planned-Unit Development with a Homes Association, which was published by the FHA in 1963. After leaving FHA, Hanke opened his own consulting office. In 1973 he received a grant from the National Association of Home Builders for $30,000 to create the Community Associations Institute, and served as the chief consultant for the NAHB to design and create CAI. In addition to serving as CAI’s founder and contributing to CAI’s original organizational and governance structure, Hanke authored the first GAP Report on Architectural Review. Hanke was very active with the Urban Land Institute. He was a member of ULI’s Residential Development Council from 1972 – 1978. From 1978 – 1982 he was a member of the Recreational Development Council, and from 1982 – 1988 he again served on the Residential Development Council and also served from 1983-85 as that Council’s representative on the ULI Research Council. 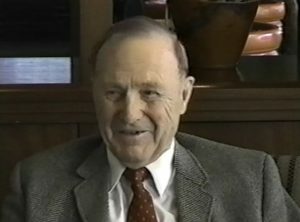 From 1989 through 1995 Mr. Hanke served on the Community Development Council.